I am trying to get an early jump on Eliza's Halloween costume. I want her to be Elmo, Cookie Monster, or Oscar. She loves all 3 of them. My thoughts...Elmo and Cookie are very popular at Halloween with little kids, we all know I like her to be different. Will Oscar be recognizable enough though? Here is a picture of the 3 I am choosing between, let me know which one you like most. 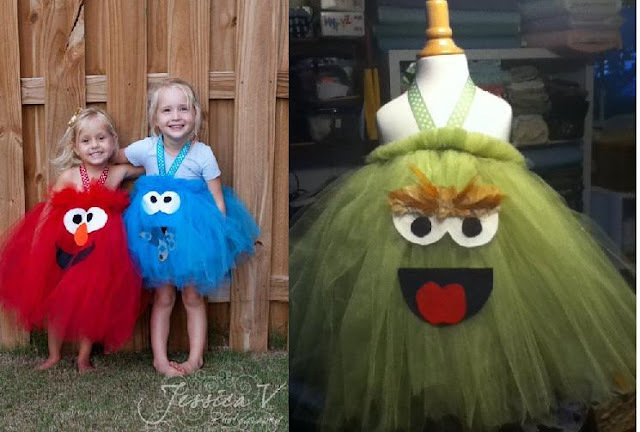 All three are beyond ADORABLE - but my fave is Cookie Monster!! Too cute.